The humble boot has taken many forms throughout history, from worn and workable to spit-shined and dinner party ready; to be completely frank, the plethora of choice can be a little overwhelming. 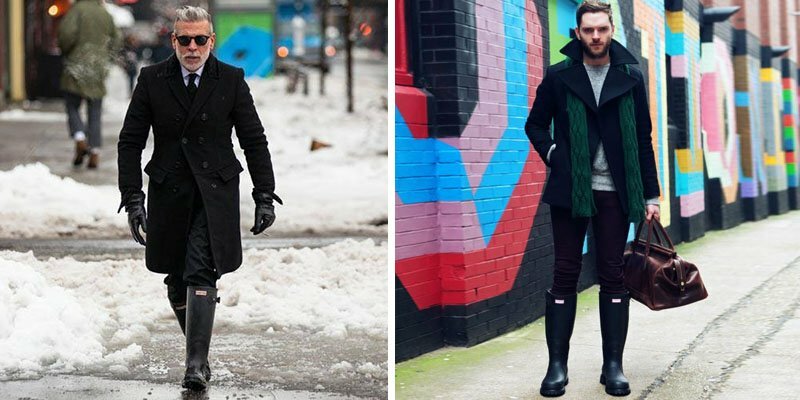 To give your wardrobe overhaul a well-deserved kick-start and keep you a firm foot ahead of the competition, we’ve collated a winter roundup featuring the best boots. From Chelsea to Combat boots, you’re going to want to walk a mile in this lot, guaranteed. If you’re in need of a boot that’s equal parts style and utility, then this is the shoe that fits. 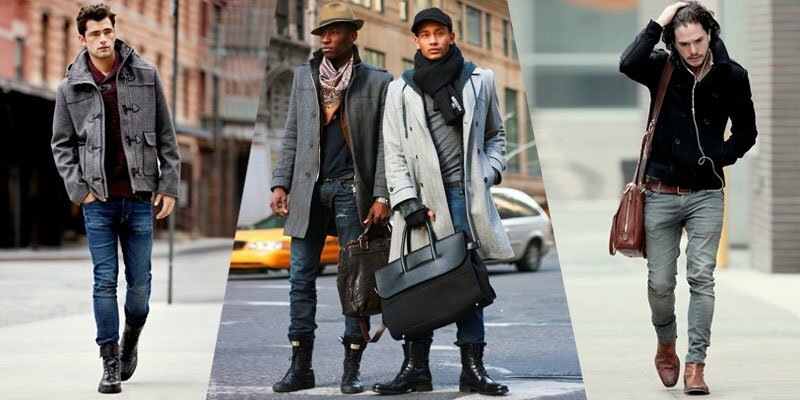 The Chelsea boot has long reigned as the go-to boot. First patented by Queen Victoria’s shoemaker, J.Sparkes Hallhese, the original riding boot or Jodhpur earned its keep due to its ease of wear thanks in part to the elastic panels on the boot’s side. By the 1960’s, the Chelsea was strides ahead and has remained on-trend ever since. Works best with: There are few pant legs the Chelsea won’t work with, but if you’re after a sleek and simple boot to wear with streamlined trousers or skinny jeans, behold the boot for you. 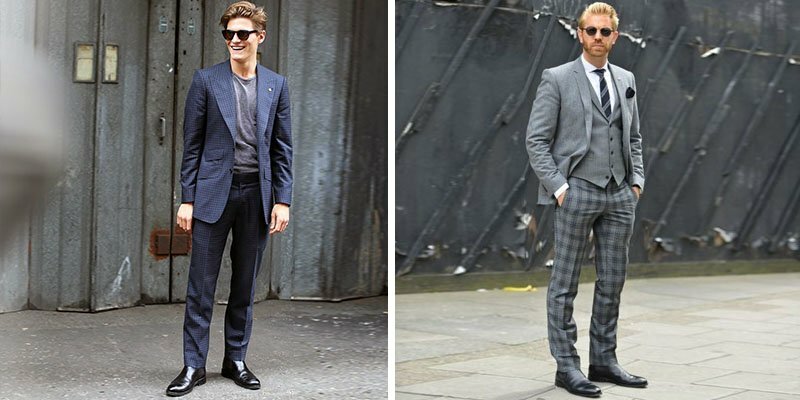 The slickest in the season? The Saint Laurent Leather Chelsea Boot holds a timeless shape won’t strut in and out of style. Unbeknown to most, the Chukka or desert boot gained its name from the game of Polo, which is played out in six ‘chukkas’, making it not too dissimilar from its Chelsea counterpart. Often rendered in suede or calfskin, the Chukka is typically ankled high, unlined and open laced. The Chukka soared in popularity during the 1940’s due to its sheer versatility. Works best with: This off-duty boot looks tidy with a pair of classic blue jeans. 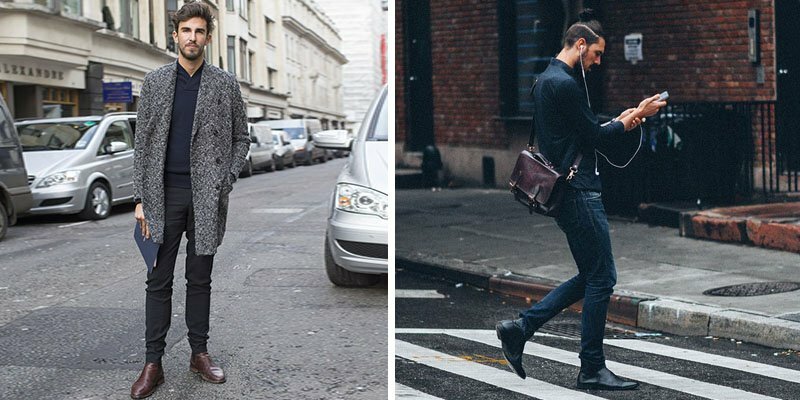 Look to the trusty Chukka like the Aldo Abbatiello Chukka Boot is a grown-up alternative to sneakers, adding an element of polish to an otherwise low-key look. Perhaps the most militant of the booted bunch, the Combat boot earned its keep as a military staple, hence the name. Traditionally laced up to the ankle, the Combat received a stylish nod during the 1980’s when punk was popularised. Works best with: Due to the higher cut, feel free to rock with a pair of capris pants or chinos that cut above the ankle. 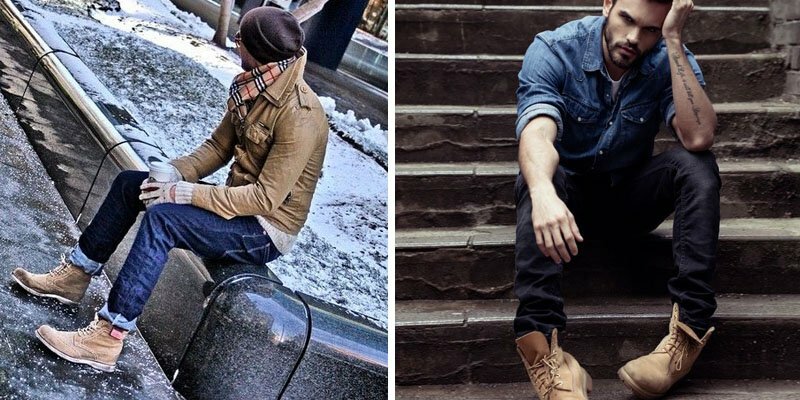 Combat boots look great with a double-denim look, breaking up your blues. Combat boots are unforgivingly edgy so look best when they’re a little worn in. Happy stomping fellas. If traditional patent lace-ups feel a little rigid and leave your feet crippled and crammed by that 3 pm board meeting, consider the dress boot your new best friend. Boasting an element of office-worthy formality without the stiff upper lip, the dress boot has become go-to for the stylish modern suit. First donned by English elitists, the dress boot originated in an Oxford and Balmoral cut, traditionally the upper is usually softer and rendered in canvas, leather or suede. Works best with: Invest in a sturdy and stylish pair and consider your work wear woes solved. The Semi-dress boot by Hugo Boss is the perfect partner to a streamlined trouser, tailored pant or three-piece suit. Dubbed the ‘Wellington’ after the first Duke of Wellington made boots a staple within British Aristocracy. By WW1, the Wellington boot was an essential for soldiers swamped in flooded trenches. The humble gummy has continued to stomp its way into every grown man’s wardrobe ever since. Works best with: Gumboots or Wellies are ideal for winter weather this temperamental and rather not sludge around in suede. That being said, gumboots don’t need to be all practicality and no polish. 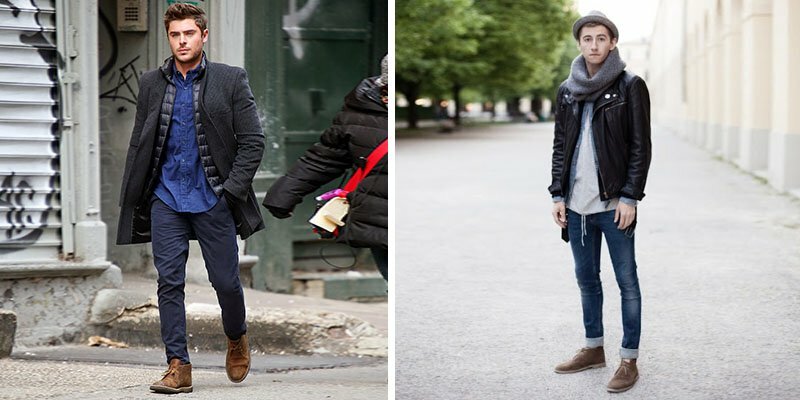 A slick pair of skinny Hunters will look great with any get-up, pair with a full-length trench coat and consider yourself game-day ready. Who wouldn’t want to channel their inner Clint Eastwood circa ‘Dirty Harry’ in a pair of work boots? Seriously, is there anything cooler? A man who can pull off a pair of work boots with conviction is a man indeed. The original work boot arguably took its first steps in Minnesota. The Red Wing was developed after founder Charles H. Beckman struggled to find a hard-working boot that wasn’t a complete eyesore. Devoid of any steel-toe capping, the Red Wing has held its own as the toughest All-American ever since. Works best with: Keep it casual in a pair of cuffed Levi 501s or classic corduroys, the versatility and structure of the allow you to dress for both convenience and comfort. Look to the Red Wing 875-6 Inch Boot for a weather-permitting weekend essential, tough enough to tackle even the most outlandish agenda.